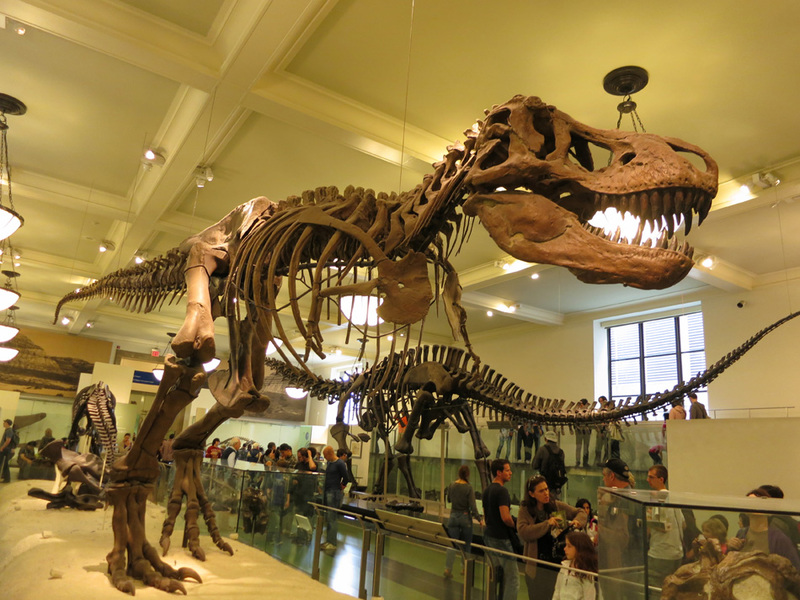 As museums move from onsite systems to hosted platforms like from Blackbaud Raiser’s Edge (RE) to Altru, there are certain considerations that will ensure smooth your transition. Review records. This this is the time for cleanup of things like 7 digit local contact numbers from decades ago that should be put in as ten digit phone numbers. From our experience, we suggest you bring entire data. That way if a member comes back years later, you will have history on that member and quickly acknowledging an appreciation for being member is past will go long way in strengthening the bond for longer term association with your institution in years to come. In Raisers Edge, make sure every constituent that has a partner record attached has a Constituent # of its own. This is very critical and your Blackbaud rep will surely tell you that. One way to assign constituent ID to partner records is to go into each member record, click on partner records and check that. However, if you have thousands of members this could be a very time consuming process. Get help from someone who understands the data structure of Raisers edge to be able to go into your live system to do that at the back-end and is very sure of not to mess things up! Assuming you have success taking care of that; now you may have one last challenge before you are ready for migration. Check if there are any “orphan records” that won’t migrate to Altru. These will be records that are not partner records and do not have a ConstituentID assigned. Yes they do exist even if you did previous step correctly and you will find them if you were to open each member record and check. Other option again will be to seek expert help and to go into tables and find those out. Once this is done you are good to go for migration. Enjoy your new Altru system! Do check new system records against old system. About us: MuseumAnywhere is a division of InfiCare Technologies located in Washington DC metro area since 2001. Our team has a good understanding and experience on Blackbaud’s Raisers Edge, Altru and TMS. We can help making sure that your system is ready for migration, take away pain of having to manually checking thousands of records and take care of things in just a few days so your system will be ready to migrate to Altru. We will even check Altru post-migration. If you are looking for getting more value out of Raisers Edge by doing integrations to other systems and offer cool things like E-Membership cards, then we have “connectors” that we can quickly deploy. A Social Media Hub is an exquisite addition to any kind of website on the internet. Whether an individual is preparing to run his or her current hash tag campaign or simply trying to create a commercial website that promotes fans with commercial products, a social media hub is the best way to connect with both present and upcoming brand enthusiasts. A Social Media Hub is an exquisite addition to any kind of website on the internet. Whether an individual is preparing to run his or her current hash tag campaign or simply trying to create a commercial website that promotes fans with commercial products, a social media hub is the best way to connect with both present and upcoming brand enthusiasts. Even when an individual is promoting any kind of recreational event that enables fans to entertain themselves with all the hype that seems to be surrounding the event, the true solution under such circumstances is a social media hub. With the increase in number of social networks, business companies or organizations have opted to go for any such method that will enable them to join all their social networks into their company purchased websites. Social Media hubs tend to offer potential both and existing customers a perfect picture of their activities that have undergone in any one of the social networks. There seems to be a rising trend in between the multi-national companies which always possess integrated social posts and these multi-national companies have a habit of bringing forth such social hype and buzz into their self owned websites. A social media hub may be defined as a content aggression page that exists in a company’s website; it is essential to attract any kind of social feeds from any kind of blogs to the company’s website that eventually leads to the company’s own benefit. A social media hub is necessarily not some sort of a content editing hub, it is a different typical blog where any kind of content is at first updated and then such kind of content is usually synched or rather shared to various other networks; hence, there are major differences between the two of them. The need for a social media hub, however significant it might be because of the reason that they offer to integrate the multitude of different social networks into a single website on the internet, is actually less promising. This is due to the presence of many CMS that do not support the essence of a social media hub. Hence, a need arises for a CMS to create a webpage that actually feeds all the social activities relating to a specific nature, although it is time consuming and costly process, especially if the cost for separate designing and styling is considered. Precisely speaking, a social media hub serves various useful and significant purposes as per as social activities across various social networks is concerned. It provides an easy an attractive solution to witness any kind of social outpost or activity relating to a particular brand. Moreover, a social media hub also serves the purpose of combining various networking sites from one place; it even offers integration between own organization communities that reflects any kind of outside or external activity. A social media hub also offers an easy method to follow recent social conversations and also the opportunity to connect with them. The term “intelligent Messaging’’ has quite a complex meaning, in relation to a computer’s ethics definition, to begin with; it can be defined as a historic messaging system, that was initially introduced by Banyan Systems, that ran its course through NetWare and VINES servers, that was further accompanied by an incorporated popular directory service from Banyan’s, known as Street talk. In simple terms, Intelligent Messaging contained a basic mail program, which could be further advanced to the more integrated Beyond Mail system. There are several brands or companies that further the cause of Intelligent Messaging in a world wide fashion. The main purpose or aim of the concept of Intelligent Messaging is to bring together all the various texts or messages and alerts of a user into an easily manageable solution or outcome. As a result, by following such an efficient prophecy that Intelligent Messaging has to unfold, an individual is able to fulfill or rather benefit from his efforts of reducing his or her overall Information Technology costs, that otherwise, is sure to be an irritating burden to carry on. To be precise, a two way communication is established between a user and his or her fellow beloved companions. Intelligent Messaging can also be achieved by means of a fax featuring facility. For instance, by implementing the fax featuring facility, an individual is able to access his or her mailbox and go through all his or her messages or e-mails. Moreover, the fax featuring facility also enables a user to play any audio or video containing message. To add to its cause, the purpose of Intelligent Messaging can is enhanced even further through its fax featuring facility, for an individual is also able to simply record and send a message to any other user of his or her choice. Intelligent Messaging, being a two way actionable conversation, enables the customers or its users, to interact or communicate with new customers, which in return, leads to the birth of new conversations between them. It enables to decrease costs of smarter interaction. Intelligent messaging is very essential for a user to decrease the chances of any kind of fraudulent activity by restricting use of any unauthorized monetary account or card. Intelligent Messaging is a user friendly concept because it can be implemented on any device or channel. Any kind of call-centre payments is generally reduced through the provisions of effective communication. By utilizing Intelligent Messaging, an individual finds it very easy to simplify his or her messaging network service. Not only that, Intelligent Messaging is enriched in a large set of magnificent features. For instance, a user can manage and create alerts in his or her self preferred way that eventually suits the individual’s business activities. There is also the possibility of a multi-channel delivery system. Also, the presence of a complete suite of alert aggregation is tremendously beneficial to the customer’s requirements; be it online banking alerts or bill pay alerts, increase alert procedures provide a conventional powerful service channel. In modern times, if there is one thing that comes to mind first as the jaw dropping platform that has solely changed the whole essence of museum experience for museum lovers throughout the world, it is nothing other than today’s social applications or apps and their progress through the smart phone network. In modern times, if there is one thing that comes to mind first as the jaw dropping platform that has solely changed the whole essence of museum experience for museum lovers throughout the world, it is nothing other than today’s social applications or apps and their progress through the smart phone network. However awkward it might sound at first, it is absolutely no secret that mobile applications through the scope of its advanced technology, have contributed to the development of museums since 1952, when for the very first time, an audio tour was provided at the Stedelijk Museum in Amsterdam. 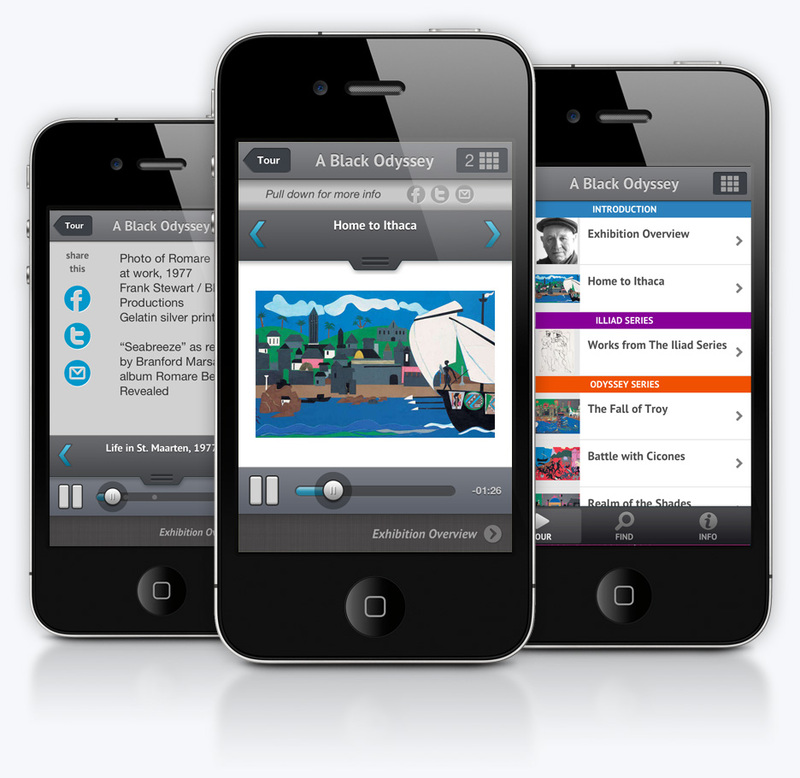 Various kinds of museum development applications have been introduced by museums in ample quantities since the audio tour was first introduced in the history of museum development. Podcasts are the most significant mobile media that that have been published as a reading content. Other than that, many other downloadable media content has been provided by the museums for the public eye and knowledge, such as PDFS and E-Books. More than thousands of museums across the globe have taken the initiative to supply such downloadable content through various applications that can be either purchased or also downloaded free-of-charge from the web. For the sake of convenience, nowadays museum guides always seem to posses a museum app that enables them to effectively guide the tourists and the visitors. 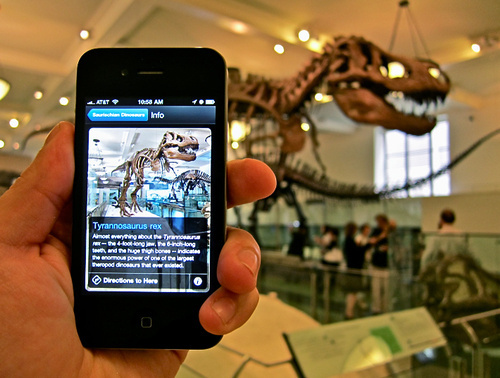 Almost each and every museum visitor has mobile tour technology up their sleeves. This helps a museum guide to entertain them with essential information regarding the history, statistics and culture of the museum. Almost all the museum development applications that are found on the web provide a visitor with multimedia tours that they can access from any kind of smart phone. Hence, it reduces the dilemma of a guide and adds to unquestionable experience. 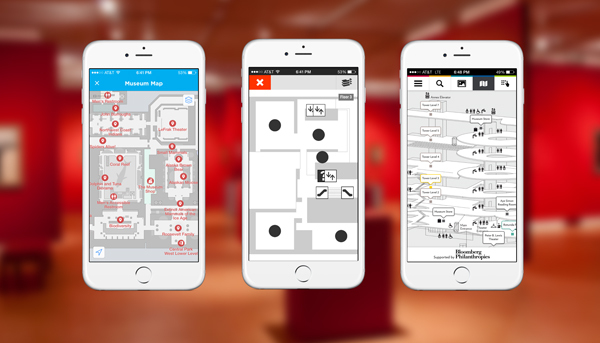 Various Museum Development Apps consist of interactive maps that enable the museum guides to help the visitors to find the latter’s interested exhibits. Moreover, it often happens that the visitors tend to get lost or mix up the entry and exit routes; even under such circumstances, the presence of interactive maps provides the guide with an immediate solution that is not only effective but also an embodiment of personal satisfaction. In fact, the presence of proximity beacons in such museum development apps allows the guide to offer an interactive environment to the visitors, thus offering some sort of location awareness. The most interesting feature about these Museum Development Apps is that they are updated on a regular basis, which means any sort of change that has taken place in the museum overnight happens to be the reason for such regular updates. As a result, if there is any sort of movement undergone by any exhibit in the museum, that change in environment is effected to the application in just a few moments. What is even more interesting is that most of these Museum Development Apps perform with accessibility features, for the sole priority of the visually and hearing disabled people.